← Polishing photography skills so its shiny like an Apple. This weekend Jenifer and I ( with assistance from Armando Monriog) provided the photography services for Anne-Marie and Steven. The day started out ominous – pouring rain, 25 mph winds, and some of other largest waves crashing into the beach I have seen in a long time. When I started shooting portraits of Steven, the rain had stopped and the sun was coming out. By the time the ceremony started, the wind was starting to calm. By the time we started the bridal portraits, the stars had finished aligning and we had an amazing time with an amazing couple! CONGRATULATIONS Anne-Marie and Steven! Best Wishes for the years to come. 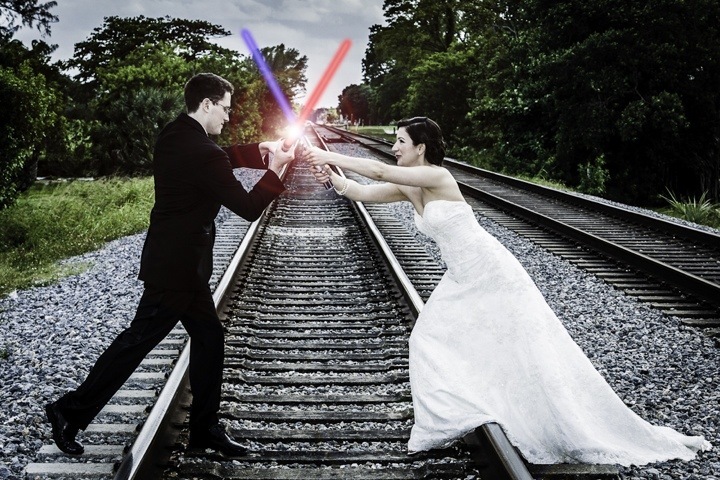 May your stars continue to align… And may the force be with you!! More images to come as we work through the editing…. This entry was posted in Digital Photography, Photography sessions, Photoshop, wedding photography and tagged bride, groom, photography, versatile light studio, Wedding. Bookmark the permalink.